It’s only been 7 months since Peach Kelli Pop made her first visit to The Great Nashville Country, but we think that amount of time is entirely too long. Lucky for us, she’ll be rolling through in a couple weeks with the rest of her pack to get down at The Other Basement. If you look back on her last visit as fondly as we do, then you’re probably equally as stoked as we are. It was one of the most fun times we had over at Glenn Danzig’s. 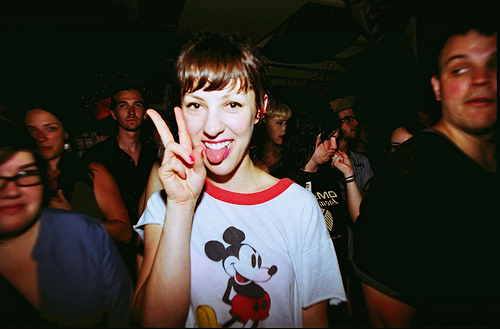 We know Allie has been doing her thing and working hard up in Canada to get everything done for a brand new record. Hopefully we’ll get to lay our ears on that sometime soon. She’s doing it in the same fashion as her debut LP [scoop here] recording and playing all the instruments herself. Sick. Come out on December 19th to The Other Basement and get your kicks. 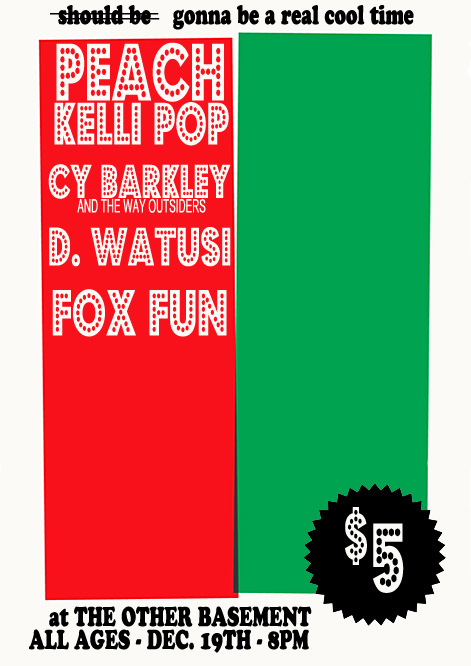 PKP will be playing alongside Cy Barkley & The Way Outsiders, D. Watusi, and Fox Fun.